It's with tremendous sadness and a broken heart that I share publicly the passing of my mother, Karen Hanson, on the evening of Wednesday, June 27th. She was 77 years old. Her vibrant and tireless love of life was obvious to acquaintances and an inspiration to friends and family. The unrelenting love and compassion she bestowed upon every person in her life - regardless of relation or reciprocation - was at times hard to comprehend and always humbling. Karen’ professional life embodied this love and compassion. She was a Registered Nurse. 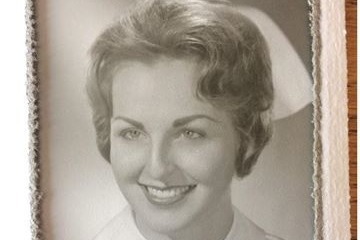 Throughout her professional life, Karen worked as a Nurse in several capacities including the Adolescent Psychiatric Lockdown Unit at Fairview Riverside in Minneapolis, MN and in later years as a substitute nurse & pre-K-12 student screening for various school districts. In honor of Karen’s lifelong devotion to the care and nurturing of children and young adults, we (Karen’s son & Husband) have set up the Karen Hanson Memorial Fund. Proceeds will be donated to Children’s Minnesota, a non-profit associated with Children’s Hospital in St. Paul, MN. Children’s Minnesota is one of nations premier pediatric health systems and Minnesota’s only Level 1 Trauma Center in Minnesota dedicated exclusively to the care of children from before birth through young adulthood.